Impact evaluation has gained recognition over the last decade as an essential component of project development. Impact evaluation details how and to what extent policies and project interventions contribute to socioeconomic welfare gains or losses for society. Such evaluations are also important for identifying key lessons for future policies and investments. 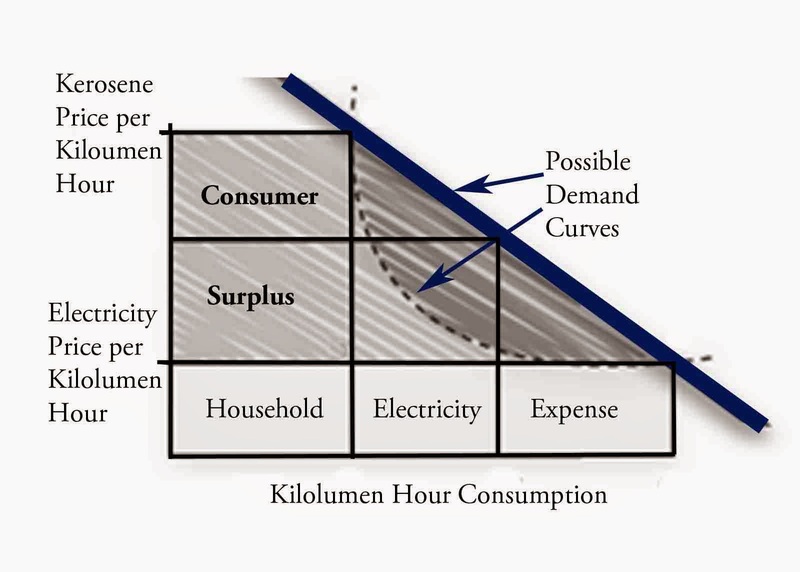 In the case of modern energy access, the measurement of costs is fairly straightforward. However, measuring the benefits to society is more difficult and might involve implementing national or regional surveys. Past efforts have often underestimated the complex linkages of benefits produced by programs involved in providing electricity and clean cooking energy to rural and other populations without access to modern energy services. Thus, it has often been difficult to balance the costs of program investments in energy access vis-à-vis their benefits. This study’s main objective is to develop a practical method by which to measure the benefits of rural energy, including both electricity and clean cooking. The methods reviewed in this report involve both formal and informal techniques of data collection, including quantitative and qualitative methods of analysis. The research pays attention to such concepts as quality of life, effects on education, and other key components of social development; that is, it tackles those benefits of modern energy access that traditionally have been difficult to measure, as well as the easier-to-measure benefits. This study can be downloaded from the Inter-American Development Bank's website. Rural Electricity Adoption in India: What's Standing in the Way? 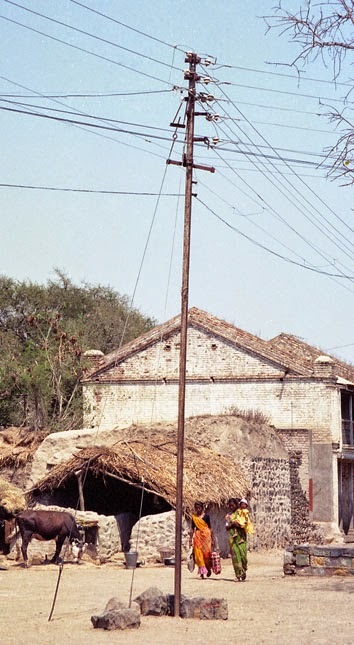 For several years I have been involved in a project to understand why the electricity connection rates in India are not higher than they are. This resulted in a report probing various reason that are holding back India for achieving universal access, despite spending quite a bit of money on the problem. For details, see the report Power for All: Electricity Access Challenge in India. I have done quite a bit of work on India, including a some older major studies on Energy Strategies for Rural India (2002) and The Impact of Energy on Women's Lives (2004). This new report complements the past work. First some facts. Owing mainly to its large population, India still has by far the world’s largest number of households without electricity. About 311 million people still live without electricity, and they mostly reside in poor rural areas. By late 2012, the national electricity grid had reached 92 percent of India’s rural villages, about 880 million people. And 200 hundred million households in India live in villages with electricity, but they have not adopted service. So what does this say about energy access? For me, given the significant benefits of rural electrification, with so many without electricity living in villages with grid service means that something is standing in the way of electricity adoption in India. For India it is necessary to understand the concepts involved in both village and household electrification. The electricity access rate is the percent of all households in India with electricity. The electricity availability rate is the percent of household living in communities with service, regardless of whether or not they have adopted electricity. Finally, the electricity hook-up rate is defined as the percent of households that have adopted electricity in communities that have service. Electric Power for Rural Growth, 2nd Edition. 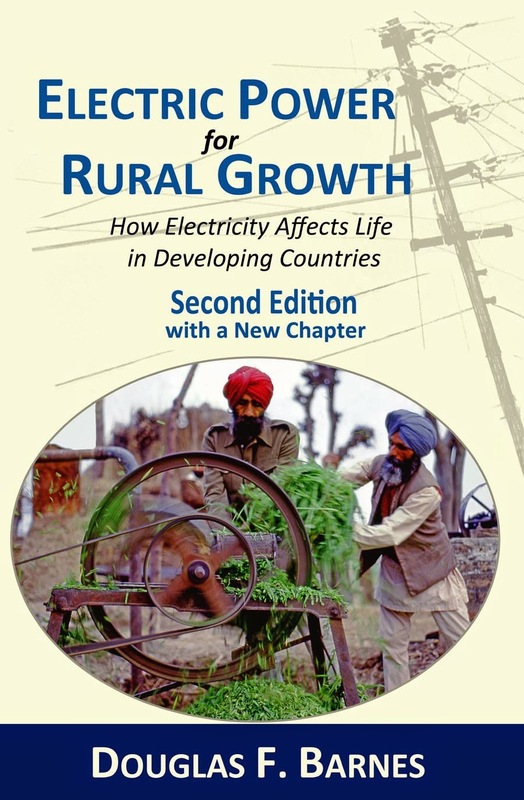 I recently published a new book on the impact of rural electrification in developing countries. Actually it is a revision of an old book. This is the second edition of my first book Electric Power for Rural Growth, published in 1988 based on research during my first job at Resources for the Future. At the time, international donors were having serious doubt about the benefits of rural electrification for developing countries. To see a description of the book on this site, click on this link. This entirely new production of the original book offers important historical information on the state of rural electrification in the 1980s. I have updated the text and titles, and the tables and charts have been revised for clarity. Some material that is no longer relevant has been omitted. I also have added a new chapter that summarizes the development of benefit evaluation methods, along with findings from recent research on the impact of rural electrification for development. Overall, the issues identified in the 1980s remain extremely relevant today in the context of the new international emphasis on providing modern energy access for all. This includes its social impact and the productive use of electricity for agriculture and small business development. The main countries covered include India, Indonesia and Colombia. Many of the lessons learned from this study have been lost, especially with today's emphasis of providing electricity to those remaining people without service. Although this is a very important, the complementary conditions for rural electrification also should not be forgotten in the rush to provide "electricity for all." Since the original writing of this book, the development impact of grid electricity on rural households has been the subject of a significant amount of research. I am glad to report that the findings of this early study have been validated for the most part. Further research still is necessary on subjects like the impact of solar home systems or small lighting systems on socioeconomic development. It is well-known that certain activities cannot be accomplished by relying on the low power levels available through solar home or smaller photovoltaic systems. The question is whether this matters or should such technologies be considered “pre-electrification”—important in their own right but awaiting further expansion of grid electricity systems. These important new questions can only be answered by new research. In the meantime, I offer this second edition of my impact study of rural electrification. The purposes of this book are to inform the issues in the public policy debate, advance empirical knowledge about the major issues and reach conclusions on the efficacy of various ways to implement rural electrification for development. In the context of new initiatives to promote the expansion of both grid and offgrid electrification, this study with its emphasis on the importance of complementary conditions is probably more important today even than it was over 20 years ago. In 1996 I wrote "It is hard not to be daunted by the scale of providing energy services to the world's rural population. There are nearly two billion people without access to modern forms of energy such as electricity or oil. This book describes the plight of these two billion. Its message, however, is that there are now many ways in which their situation can be improved. For though the problem is daunting, practicable and affordable prescriptions are available." 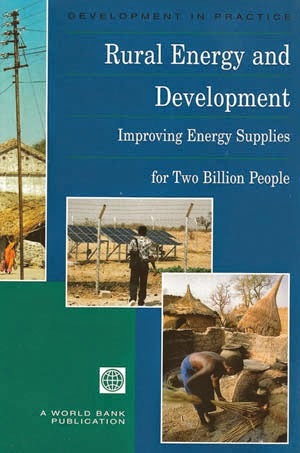 This was from the book Rural Energy and Development: Improving Energy Supplies for Two Billion People (World Bank, Washington DC). Click on the text for a scanned copy of the book. Unfortunately, this is the only free downloadable form, but it still can be purchase on commercial sites. At the time, no one was counting the number of people who were without electricity. My World Bank Director during that period was Richard Stern. He was very supportive of this new line of work on rural and household energy. During those times when most people didn't give a thought to rural energy in international organizations, as the director of energy at the World Bank he took a risk that this long ignored issue would take on future importance. Only time would prove him right. During one of our pre-publication meetings, he turned to me and asked, "How confident are you of the number two billion. It's in the title of the book, so it better be right." I squirmed a bit in my seat, knowing all the potential flaws in the numbers we had researched. However, at that time no one had taken the effort to calculate the number of people without electricity. The team that I worked with had been fairly meticulous in looking at those with and without electricity country by country. As a result, I looked at him and confidently said, "No one has any better numbers than us." He still did not look convinced, but accepted our judgment. Later we would turn these numbers over to the International Energy Agency, which now keeps track of those rural electrification rates in developing countries. As one of the first people to count the number of people without electricity, I recently took a look at some figures in my book Electric Power for Rural Growth published in the 1980s. The Second Edition of this book has now been published. I found that in 1970, the rural electrification rate in developing countries was only 12 percent, compared to more than 60 percent today (Table 1). Today, projecting backward from recent trends, I found some interesting results. In 1970 there were only about 2 billion rural people in developing countries, so about 1.75 billion people were without electricity. I estimate that during the 1970s and 1980s due to population growth and few international efforts involving rural electrification programs, the number of people without electricity kept growing to well over 2 billion. The incremental number of people with electricity was not even keeping up with population growth. During the late 1980s and the early 1990s, the number of people without electricity in developing countries finally started going down (due to significant programs in China, India, Thailand and other countries). People without electricity declined to about 2 billion people in the early 1990s. Today the number of people without electricity has declined further to 1.3 billion. Significant progress has been made in the last 40 years. In the 1990s there were 2 billion people without electricity, and in 2010 the number was 1.3 billion. But this does not mean that only 0.7 billion new households have been provided with electricity between 1970 and 2010, because during those times populations grew at about 2% per year. Thus, during the last 30 years over 2 billion people have gained access to electricity. Countries like China, Thailand, Brazil and Mexico now have electricity access rates that are well over 95 percent, and they are working on the last remaining pockets of people without electricity. Obviously the task is not complete. Even a large country like India still has more than 200 million people without electricity, and in rural Africa, astoundingly, only 1 in 8 people in rural areas has electricity. So complacency is not the order of the day, and actions are still needed to bring a modern life to those living in extreme poverty or very remote areas. This is still true even 30 years after the publication of the forward looking policy book Rural Energy and Development. Recently I participated in a very interesting workshop at Yale University. The workshop was called The Adoption Gap: Design, Development and Diﬀusion of Household Energy Technologies. The focus of the conference was to examine why improved biomass cooking stoves have not achieved widespread adoption even after over 25 years of promotion. Many of the presentations were very innovative. Included among the speakers was Rema Hanna, who is the author of the controversial study Up in Smoke. She talked about her well designed stove impact assessment. Unfortunately, the stove being evaluated was from India's legacy mud stove program, some of which are still being promoted. Hanna made the valid point that many current programs are still supporting such stoves. While this is true, today there are many better designed stoves compared to those from the 1990s (see commentary on the paper). Unfortunately, public monitoring and evaluation studies of these new stoves are still fairly sparse. The presentations from the conference are not yet available on line, but I will update this blog once they become available. Fortunately or unfortunately, I am one of a small number of people that have been involved in improved stove development for almost its entire history. I say fortunately because it has been a very interesting to observe the evolution of the programs over the years. I say unfortunately, because even today with the many innovations taking place, most poor households in developing countries still use open fires or primitive stoves for cooking. Also, in many countries well meaning non-governmental organizations are still promoting the stoves designed in the 1990s. I prepared a presentation for the conferences with the title, Improved Stoves: What Have We Learned, How Do We Move Forward? The ideas for this presentation were taken from my recent book Cleaner Hearths, Better Homes: New Stoves for India and the Developing World. For those interested, a free digital copy of the book is available, or for those more interested in print, copies can be purchased online. The book describes the positive and negative aspects of India's legacy improved stove program that was abandoned in 2002. This legacy program now is universally criticized, but most people really don't understand the pros and cons of the old program. 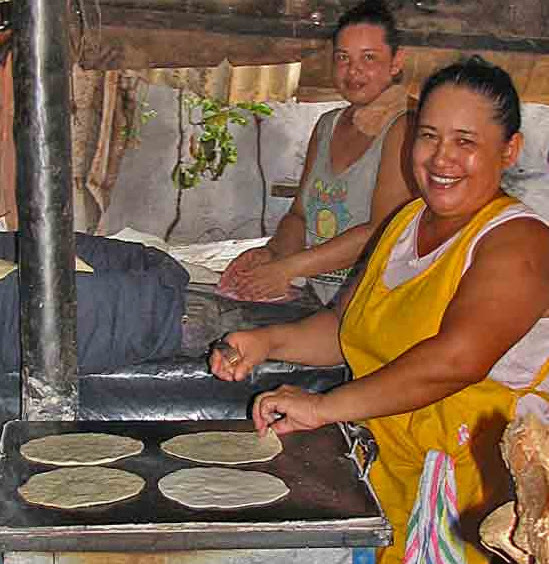 Some aspects of the legacy stove program were quite innovative, including working with NGOs, including women's groups, assigning technical agencies to evaluate design issues, and developing commercialization strategies. Many of these innovations are relevant for the promotion and sale of improved stoves today. As part of my presentation, I had one slide on the development of stove programs. For those just now becoming interested in the new stoves, this slide provides a historical overview of the 25 year history of improved stoves. The text below the break is from a glossy insert in the center of Cleaner Hearths: Better Homes that was published in 2012. The rest of the book is based on empirical findings from short questionnaires and focus discussion groups carried out at the very end of India's program. The book takes a more objective approach identifying both what went wrong and also positive contributions of the program for people in India. Anyway, continue after the break to read my short history of improved stoves.